Thermon Australia offers complete systems for Tank and Hopper Heating designed for a variety of industrial hazardous, non-hazardous or commercial applications. Thermon is the manufacturer as well, of a wide range of products and accessories to prevent freezing and maintain temperatures of fluids in tanks and vessels and it offers a simple system for cost-effective heating of tanks and hoppers utilizing RT and RTF for tank heating and HT Module for hopper heating. 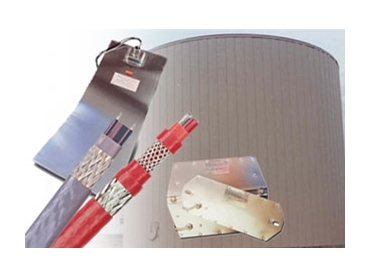 Thermon’s extensive line of electric heating cables can also be utilized for tank heating applications. BSX and RSX self-regulating heating cables are recommended for freeze protecting at or below 65°C. HTSX and HPT cables are recommended for up to 149°C.